DELPHI, Ind. 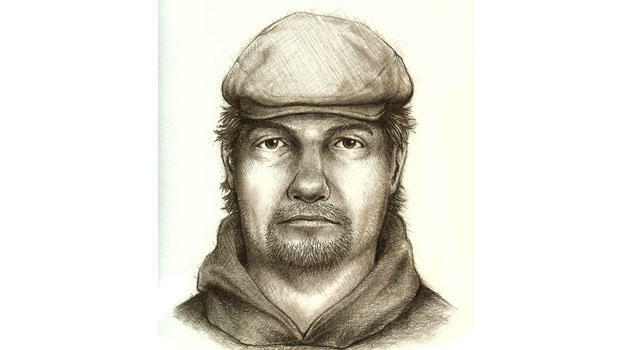 -- State police on Monday released a composite sketch of the main suspect in the killings of two teenage girls who disappeared from a hiking trail near their hometown in northern Indiana in February. The sketch is "an artist's composite of the information" collected by all the agencies involved in the double-murder investigation, including the FBI, said Indiana State Police Sgt. Kim Riley. Riley said investigators consider the sketch a "very important" development in the ongoing investigation. "It will give people a clearer image of who we are looking for," Riley said. Fourteen-year-old Liberty German vanished with 13-year-old Abigail Williams on Feb. 13 while hiking near Delphi, about 60 miles northwest of Indianapolis. Their bodies were found the next day in nearby woods. No arrests have been made in the slayings and authorities have not disclosed how the girls were killed. Investigators released two grainy images in late February of a man they consider the main suspect in the killings. They also released audio in which a male voice can be heard saying "down the hill." That evidence came from German's cellphone. Riley said investigators believe the man captured in the photos killed both girls. Indiana State Police said Monday the sketch depicts the same person seen in the picture. They say the sketch gives more details than the picture and asked anyone who recognizes the person to come forward. The person depicted in the composite sketch is described as a white male between 5 feet 6 inches and 5 feet 10 inches tall, weighing 180 to 220 pounds, with reddish brown hair, according to Indiana State Police. Police say the sketch also depicts a hat that may not be accurate. Riley told CBS affiliate WTTV the sketch is the result of information called in to a tip line and follow-up investigations in the past couple of weeks. Riley could not comment to the station as to whether police are close to making an arrest. A reward in excess of $230,000 is offered for information that leads to the arrest and conviction of the people responsible, police say. Anyone with information is asked to call the tip line at 844-459-5786. Callers can remain anonymous.